The Incubator for Integration and Development in East Africa (IIDEA) was for the second time invited to actively participate at the Youth Connekt Africa Summit. Africa’s greatest resource is it’s nearly 420 million youth. Yet, this tremendous asset is relatively untapped. This is largely due to limited access to education, mentorship, finance, employment opportunities and health required to meaningfully participate in the continent’s socio-economic transformation and realize the economic dividend. Africa's future is bright. Great strides are being made every day because of youth. Youth passion and commitment to build a better future for Africa's current and next generations is remarkable. With East Africa’s youth demographics alone projected to increase to 75% of the population by 2030, it is vital to equip the young people of today with the skills and opportunities to lead East Africa into tomorrow. The Inaugural July 2017 YouthConnekt Africa Summit mandated the setup of a Hub and Fund to scale-up the initiative. The United Nations Development Programme (UNDP) in collaboration with other development partners convened the second YouthConneckt Africa Summit Hosted by Rwandan Ministry of Youth in Kigali, Rwanda from the 08th -10th October, 2018. YouthConnekt Africa Summit 2018 which was officiated by the Prime Minister of Rwanda, H.E Édouard Ngirente, brought together 3,000 delegates comprised of leaders, young entrepreneurs, the private sector and media to look at the challenges facing young Africans and develop solutions. The objectives of YouthConnekt Africa addressed by the Summit included generating 10 million jobs by 2020, creating 25 million training opportunities, identifying and nurturing one million young leaders, closing the gender gap and developing a hub to connect incubators across the continent. Six of IIDEA’s Partners engaged actively at the Summit, networked with youth and investors, build their capacity on marketing and promoting their projects and delved in to technical and innovative discussion on trade, youth entrepreneurship, Youth innovation and youth employment among others. The IIDEA Partners that participated were Nyakitonto Youth for Development (NYDT), CV People Africa, National Council of Folklorists of Uganda (NACOFU), Pro-Femmes/Twese Hamwe from Rwanda, Rwanda Tours and Travel Associations (RTTA) and Bekn G.T. Limited from Kenya. 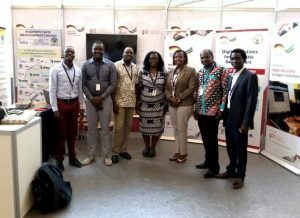 Through the Summit, IIDEA and Partners exhibited their work in a wide range of sectors to delegates from across Africa. As a result, IIDEA has continued to exploit the available space provided by YouthConnekt Africa Summit constructively as it’s recognized as a best practice citizen approach for promoting tangible continental regional integration and for the YouthConnekt Hub.